Here at Worldwide Pipe & Supply, we strive to live up to the term ‘one vendor, one solution. That means that whether our clients are looking for steel pipe and fittings or sheet metal, whether they need their products shipped to Indiana or India, we can take care of everything they need. Our experience–over 20 years in the business–has certainly helped us become a ‘go-to’ for so many builders and companies. But there are three other assets that help us meet our one vendor, one solution goal. It all starts with our pipe. We have a vast international pipe supply inventory, including seamless, welded, line pipe, galvanized, FBE and many, many other types. We also have pipe fittings: elbows, tees, reducers, couplings, crosses and laterals, among others. Flanges are also part of our inventory–from weldneck, to threaded, to lap joint. What’s more, we’re capable of supplying an array of OCTG products, valves and tubing. And we even offer structural materials, including plate, bar, sheet and beams. Another reason why we’ve been able to live up to our ‘one vendor, one solution’ goal is our ability to ship globally by maintaining our warehouse in Houston, Texas. 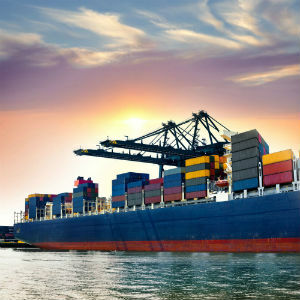 This port access (Houston is one of the biggest shipping ports in the world) allows us to be a leader in international pipe supply, letting us ship your order fast to anywhere in the world. But even with an extensive inventory and fast shipping, nothing can make up for customer service. That’s why we have computerized our inventory so that we can quickly respond to any request you might have. And that’s why we’re devoted to meeting all of our customers’ needs, answering their every question and remedying all of their concerns. Do you need steel pipe and fittings, OCTG products, structural materials, or fittings, flanges and valves? Does "one vendor, one solution" sound right for you? Contact us for a quote today.